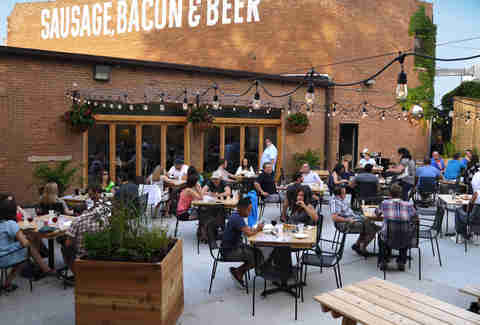 From the makers of the 5lb bacon bomb and mini curling comes... outdoor beer garden bocce. 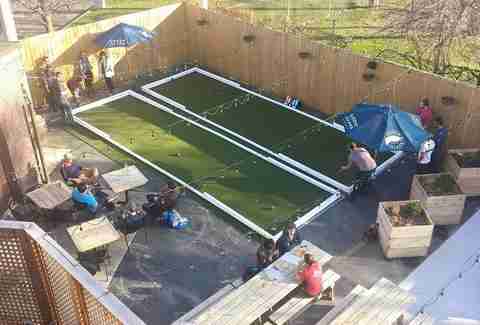 That's right, just in time for spring, Kaiser Tiger in the West Loop has converted its makeshift curling rink into a 200-seat bocce court. The setup includes two lanes (are they called lanes?) of turf and two sets of bocce balls. The courts work on a first come, first served basis and cost is $15 for 30 minutes of play. According to their official rules, “You should always have a refreshing beverage in your non-throwing hand.” Who are we to argue? 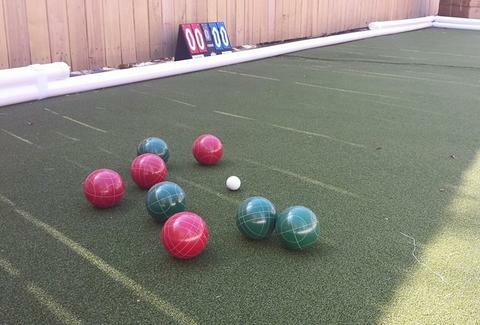 For those who don’t know, bocce ball is an Italian old-man sport similar to the Canadian old-man sport of curling (without the Olympic squad.) The goal is to get your team’s balls as close to the little white ball as possible, or something like that. The real goal? To pretend like you’re getting some sort of exercise while drinking beer outdoors. A fine goal indeed. Jay Gentile is Thrillist’s Chicago Editor and a secret ringer at Kaiser Tiger curling. Follow him @ThrillistChi.